A Very Important Choice - The Most Important Poker Decision to Make? This is a very quick unit to introduce you to the course and what is going to happen over the next 5 units. It introduces you to some key concepts that your new strategy is based on and makes sure you are ready and setup for the more detailed lessons in the future units. This Unit should only take about 10-20 minutes to complete, but contains some important information so please do not skip any part of it. The very first lesson in this course is one of the most important – How to Choose Where to Play Poker. This might seem quite trivial but it most certainly is not and can mean the difference between profit and loss. There are thousands of online poker operators on the internet nowadays, but choosing the right one is a very important matter. To maximise your profits it is imperative that you choose an online poker site that has the right mix of inexperienced players and where the strategy taught in this course is proven to work. 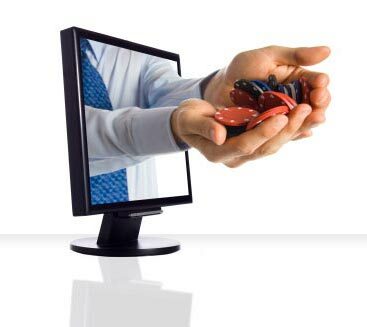 Are Online Poker Rooms Safe? Yes, as long as you stick to operators that are well known companies, then your money is safe. You may of heard stories in the past about people getting conned by unknown operators, but please don’t let this scare you. As long as you stick with well known and large operators then you will be fine. See our Reviews section for a list of trusted operators. Aren’t all Internet Poker rooms the same? In short …. No! Some sites are more suitable for beginners to the game and others are more suitable for more advanced players. Beginner Sites – These sites have a lot of fish playing at them, which means that a beginner with a basic and simple strategy (which you’ll learn early on in this course) will have a huge advantage and clean up. Advanced Sites – These sites have more of a mixture of fish and better players. Although the opponents are tougher on these sites they do have their advantages as it is often where larger tournaments are held which you may want to be a part of and it’s here where we can advance our game by using some of the more advance strategies that you’ll learn later in the course. These more advance strategies don’t work as well against Fish because, as you have learnt above, Fish chase cards they shouldn’t which make them more unpredictable. So which Internet Poker room should I use? Here at Poker Professor, having been online since 2005, we’ve seen many online poker operators come and go, and we’ve monitored them grow. We are serious about the challenge we present in this course and in guiding you in achieving the Poker Bankroll Challenge and building your bankroll from $25 into $1,000. Many thousands have achieved it over the years, and we love hearing the success stories of our community. So along with a team of 30 beta testers we have tested the strategy we teach in this course, at the various stake levels on all the major Online Poker rooms to work out which room is the most suitable to recommend. What we were looking for is the poker room that not only is suitable for beginners but also which is packed solid with Fish and plenty of easy action at the lower stakes tables, because that is where we are going to go fishing during this course and volunteer to take all the fishes money off their hands! It also needs to be somewhere that is suitable to setup home on, where you can use your new found poker abilities to earn a regular profit from over the years to come. Ultimately it’s entirely up to you where you play, but we hope you take our advice, and we’re sure that if you do then you will be able to achieve our goal of turning your initial bankroll of $25 into your final bankroll of $1,000 by the end of the course in the quickest possible time. Our tests found 888 Poker over 47% more profitable than other rooms using the strategy you will learn in this course. The best US facing room in our tests was Bovada Poker which was over 37% more profitable than other US facing rooms using the strategy you will learn in this course. 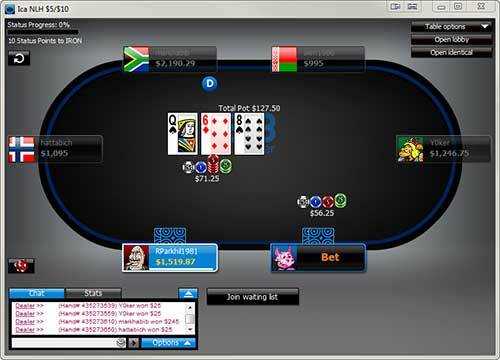 So during this course, we are going to practice what we learn on either 888 Poker or Bovada. These are both perfect beginner’s sites that are full of fish, and this is where we are going to build up our $25 into a more substantial bankroll. So now that important decision is made, it’s time to get started. 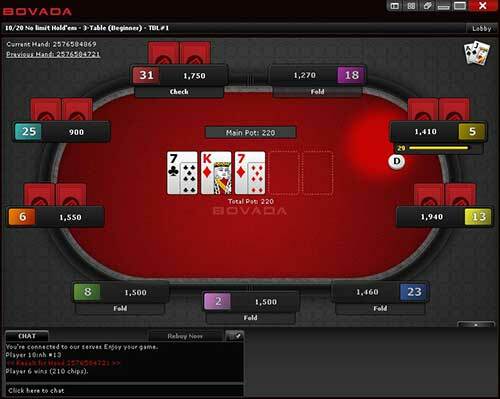 First make sure you have setup a new player account at either 888 Poker or Bovada. This will take you directly to the download page for the chosen software and ensures you are downloading the genuine software (and of course free of charge). Select the download link on the page to start the download. Once the download file has finished then double click on it to start the installation and follow the simple on screen instructions. After installation, click on the newly installed software icon either on your desktop, or in your program menu. Click on the option to register a new player account and complete the short form with your details and choose your username. Once complete, click on submit. Now you can Login to your new player account using the username and password you have just setup (you may have to verify your email address first). Once you have logged in then click on the Cashier button in the corner of the screen – You will then be taken to the Deposit screen where you can select your chosen deposit method. Now deposit $25 (or more) from your chosen payment method into your account. As a thank you for signing up both 888 and Bovada offer a first deposit bonus. This means they will match your first deposit in the form of a bonus (up to a certain maximum). So by depositing $25 you can earn a bonus of another $25. To receive your welcome bonus you will need to accumulate player points. The bonus will be credited to your account in stages each time you earn the required number of player points. How do you earn points – well by doing exactly what we are going to do anyhow, play poker.